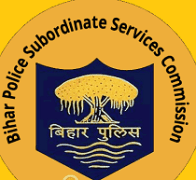 Bihar Police Subordinate Services Commission (BPSSC)has Invited the Candidates for the 1717 Posts of Police Sub-Inspector. Many Interested Candidates filled there Application Form. All the Candidates who filled the Application form are now waiting for there Exam. Soon the BPSSC Will announce the Exam Date on his official website. They will Conduct the Written Exam in Two Phase. First Phase will be Preliminary Exam and Second will be Main Exam. Photo and signature of the contenders. Exam pattern of preliminary exam is as follows. Number of candidates who will qualify in preliminary exam = 20 times vacancies which is 34340. How to download Bihar Police SI Admit Card 2018? Steps to download admit card will be as follows. Click on the link above (which is available as soon as BPSSC releases admit card). Now you will reach a login page. Here you will enter registration ID/mobile number, DOB. If admit card is available when you log in, then you will see download admit card link upon logging in. Click on that link. Download admit card to the computer. Take a print out which is clear and legible. Read all instructions in admit card. Follow them.